1) nomad is a folk/hip hop artist, he is from belgium and is also a member of Cavemen Speak, Gunporn and Nuccini! all off the label shadowanimals. His solo album Lemon Tea was big sucess, it was released on Hue in japan. 2) A Polish Death Metal band. NOMAD was founded in 1994. A little bit later a second vocalist, Bleyzabel, joined the band and in the beginning of 1996 the group entered SALMAN Studio in Bialystok to record its first demo entitled DISORDER featuring over 30 minutes of brutal death metal. The demo received lots of very positive reviews all over the world. Back then the band played some gigs with the major bands of Polish underground (e.g. VADER, DAMNABLE). In October '97 NOMAD once again entered a studio (SELANI, a.o. 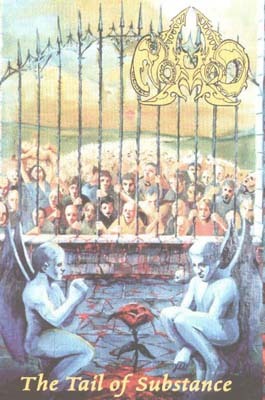 VADER, BEHEMOTH, YATTERING) to record their first full-length material THE TAIL OF SUBSTANCE which a few months later was released by the musicians themselves in MC-format only. In order to promote the album some advertisements in Polish press appeared. Also NOMAD was scheduled for a mini-tour with LUX OCCULTA,CHRIST AGONY, HATE and HERESY organised by NOVUM VOX MORTIS & PAGAN REC. In 1998 the group recorded 4 songs (already with one vocalist) which helped them to sign a record deal with NOVUM VOX MORTIS. In February '99 NOMAD recorded additional 3 songs which closed a final effort entitled THE DEVILISH WHIRL. Then NOMAD played some gigs in Poland (e.g. with LOST SOUL, TRAUMA, SACRIVERSUM, a mini-tour with BEHEMOTH and DEVILYN took place, too) and abroad (in Slovakia and Belarus). In 2002 at HENDRIX Studio (a.o. 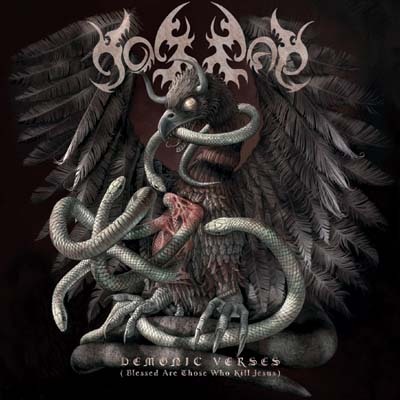 BEHEMOTH's "Demigod") there was a brand new full-length CD recorded - DEMONIC VERSES (Blessed Are Those Who Kill jesus). 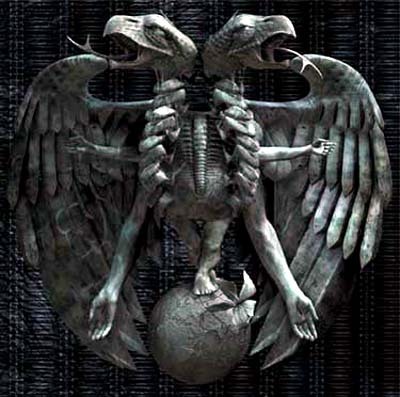 It was released in May 2004 by Killjoy's (NECROPHAGIA, WURDULAK and many others) BAPHOMET REC.! The album received lots of positive reviews. Guitarist Patrick (a.k.a. Seth) is also a full time member of Polish Black/Death Metal band Behemoth. 3) A Belgian artist. Nomad has the unique voice which he shared in the past making records and playing shows with his different bands.. now also to be heard on his own produced solostuff. nomad plays guitar, keyboard, drums or any kind of relevant instrument he passes.. check his electronic folk hiphop stuff he is on nowadays. 4) Nomad is a trance one-man-band. 5) Nomad is an alternative band from Saint-Petersberg, Russia which plays music in the spirit of Tool and A Perfect Circle. 6) Nomad is bar band from central Maryland. Covers of great rock, pop, blues, country, rhythm and blues, rockabilly, jazz and good ol' rock 'n' roll as well as originals make Nomad a sure bet for a good time. Tom, Leo, Bill and Rick weave a spell of good-time Voodoo for all. Nomad is waiting to include you in a session of roots, rocks and gems. Visit Nomad's website at http://www.ricknomad.com/.